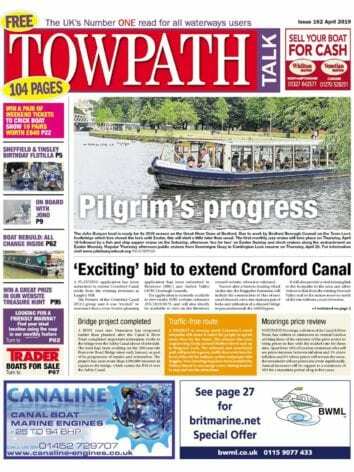 How towpath times have changed! ‘CANALS are for boats’ is the 200-year-old mantra that chants as freshly as ever. If historic water routes become unnavigable, they lose integrity and life. It’s boats and boaters that create the colour and fascination everyone who visits canals wants to see, but without towpaths, canals would never work. Canals arrived before the engine was invented and boats were originally pulled by horses. Heavy hoof prints on the towpath said the towpath wasn’t a place for leisure or pleasure, and woe betide anyone who got in the way. The Victorians were serial strollers, they loved promenades and piers and devoured flat straight parkways and crescents. 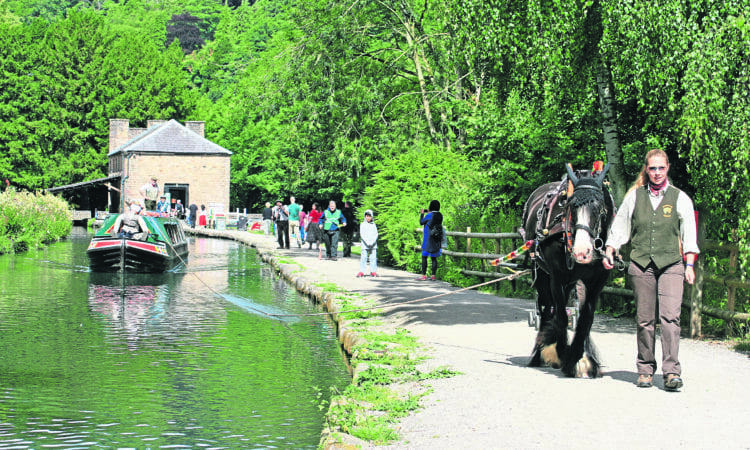 They indulged themselves with a pastime that could have taken them to miles of stunningly beautiful towpath trails, yet no one strolled along canal towpaths for fun in Victorian times. Canals were work places, where filth was rife and dastardly deeds and shenanigans went on. Specially ornate bridges, such as those designed by John Rennie in Bath, might entice a lady to reluctantly cross the canal in order to reach more pleasant city parks, but to choose to walk with canal folk and their belching boats would have been preposterous. After the railways arrived, and canal companies abandoned the canals, many towpaths became overgrown through years of neglect, and it wasn’t until the regeneration of urban waterside areas and the clearing programme of British Waterways (now Canal & River Trust) that mile upon mile of towpaths were open again. 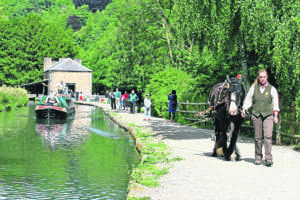 Towpaths now scramble from Cornwall to Scotland, over Welsh mountains, the Pennines, through Areas of Outstanding Natural Beauty (AONB), and almost every city in Britain. Wherever the canal dares to go, the towpath will follow. The slither of towpath that once hugged the water to let horses tug boats is now the territory of walkers, cyclists and towpath tourists. Walkers with cling-wrapped cheese sandwiches and wide-eyed families with lollipops would have been an unthinkable disturbance along towpaths in the golden era of working canal boats. 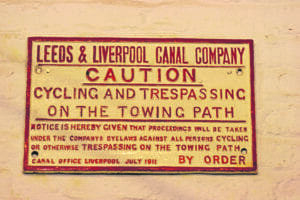 ‘Outsiders’ weren’t welcome on the towpaths, and blunt signs were erected to damn those who might dare trespass. In an ironic twist of fate, ‘keep out’ signs have been replaced today with welcoming tourist information boards, and interactive educational signposts. Times have changed, and the message of the signs from two different eras in history must lie back to back in opposition. Yet the unifying truth from both messages remains quietly the same – canals are different to the outside world. 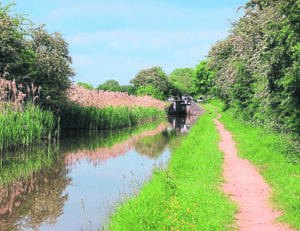 Whether we’re told to keep out, or come in, when we step down on to a towpath we’re entering the unique world of canals – a place with its own culture, customs and charms; a destination as different as any faraway place, tantalisingly on Britain’s own doorstep. Towpaths take the willing traveller back to a car-free time where wildlife and nature mingle without the clutter of noise. Nothing hurries, nor moves faster than a duckling trying to keep up with his mum. A priceless treasure trail deliciously scrambles across inland Britain.